Huawei Ascend Y200 is now selling at Safaricom shops, visibly as an upgrade to the recently launched Ascend Y 100 U8185. The two devices were launched at the same time and were available globally from May 2012. 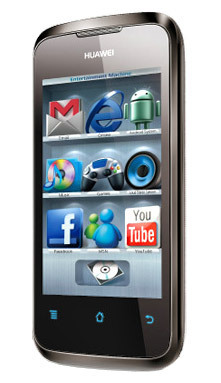 Ascend Y200 runs the same version of Android as Ascend y100 but has a bigger screen and camera. The Ascend Y200 is also a looker with better design and finer finish than the Y100 which is priced at Kshs. 8500 in Kenya. The Y200 on the other hand is priced at 12,000 bob. Huawei mainly sells in Kenya via Safaricom unlike other OEMs which take all the options and distributors take the lion’s share of sales made. This will actually be the cheapest phone in the market donning micro-SIM, means purchasers will either have to purchase Micro-SIMs or have their SIM cards chopped off, something that might inconvenience those who switch SIM cards oftenly.